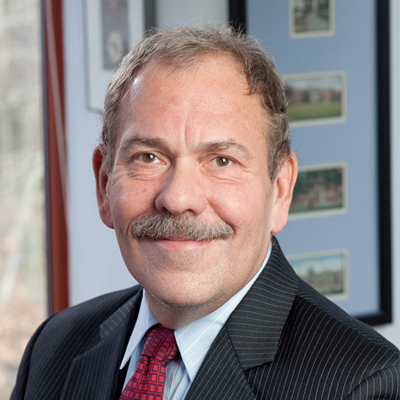 Arthur Levine is the sixth president of the Woodrow Wilson Foundation. Before his appointment at Woodrow Wilson, he was president and professor of education at Teachers College, Columbia University. He also previously served as chair of the higher education program, chair of the Institute for Educational Management, and senior lecturer at the Harvard Graduate School of Education. Dr. Levine is the author of dozens of articles and reviews, including a series of reports for the Education Schools Project on the preparation of school leaders, teachers, and education researchers. Dr. Levine’s numerous commentaries appear in such publications as The New York Times; The Los Angeles Times; The Wall Street Journal; The Washington Post; Education Week; and The Chronicle of Higher Education. His most recent book is Generation on a Tightrope: A Portrait of Today’s College Student (with Diane Dean, 2012). Among his other volumes are Unequal Fortunes: Snapshots from the South Bronx; When Hope and Fear Collide: A Portrait of Today’s College Student (with Jeanette S. Cureton); Beating the Odds: How the Poor Get to College (with Jana Nidiffer); Higher Learning in America; Shaping Higher Education’s Future; When Dreams and Heroes Died: A Portrait of Today’s College Students; Handbook on Undergraduate Curriculum; Quest for Common Learning (with Ernest Boyer); Opportunity in Adversity (with Janice Green); and Why Innovation Fails. Dr. Levine has received numerous honors, including Carnegie, Guggenheim, and Rockefeller Fellowships as well as the American Council on Education’s Book of the Year award (for Reform of Undergraduate Education), the Educational Press Association’s Annual Award for writing (three times), and 25 honorary degrees. He is a member of the American Academy of Arts and Sciences and currently sits on the board of the Educational Testing Service and Say Yes to Education. Dr. Levine was also previously President of Bradford College (1982-1989) and Senior Fellow at the Carnegie Foundation and Carnegie Council for Policy Studies in Higher Education (1975-1982). He received his bachelor’s degree from Brandeis University and his Ph.D. from the State University of New York at Buffalo. Questions about LINC 2016 Conference? Unless otherwise specified, the LINC 2016 Website by the MIT Office of Digital Learning is licensed under a Creative Commons Attribution 4.0 International License.